This reprises and recontextualises my recent work Ghost Cup with elements from previous installations which I made within Mary Armentrout’s 2015 piece Reveries and Elegies Volume 2. 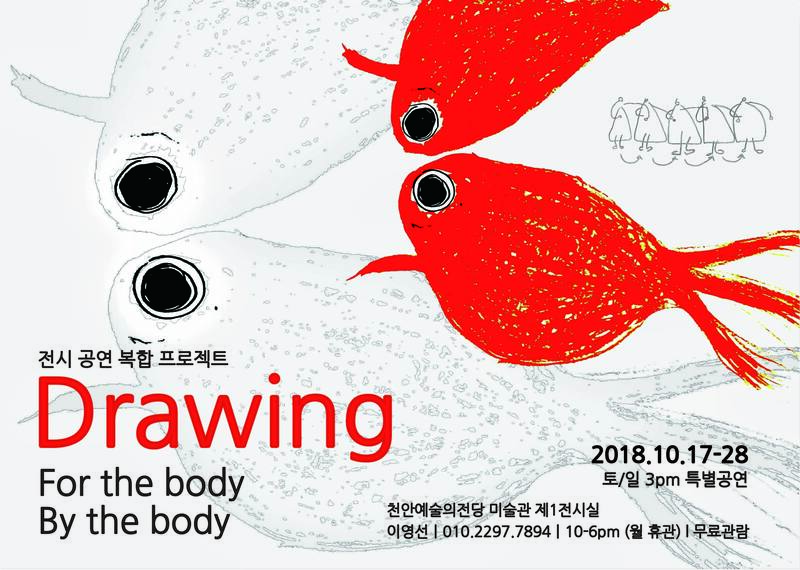 My collaborator, choreographer Young Sun Lee, had a major installation / exhibition at the Cheonan Arts Center in Seoul, Korea (17-28 Oct 2018) called Drawing for the Body, By the Body in which she performed a number of works with my music, in galleries filled with her drawings. Her pieces Dance Drawings for Snail IV and Dance Drawing for Black Drawing use music from works such as Vagues Fenetres and Isle Remix. 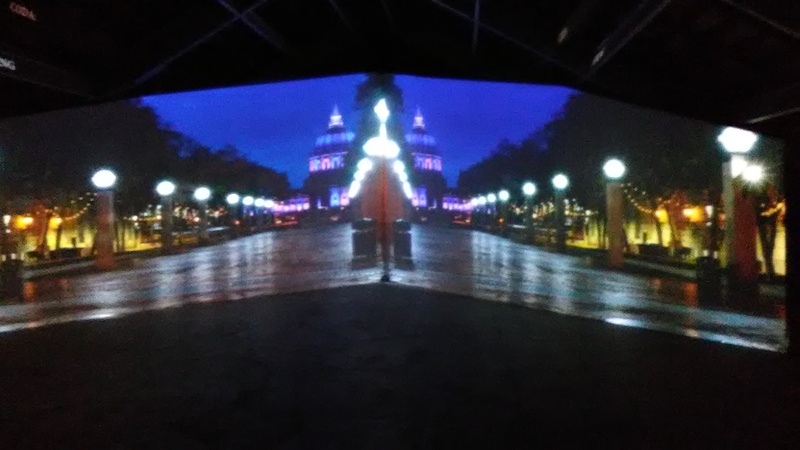 The exhibition also featured a screening of her collaborative animation film soul / soul with experimental animator and documentary film maker Kyja Kristjansson-Nelson. Below is Young Sun Lee performing with some of her drawings and stills from soul / soul. For more photos of the exhibit go here. I was thrilled to be a part of San Francisco Music Day, albeit in absentia. 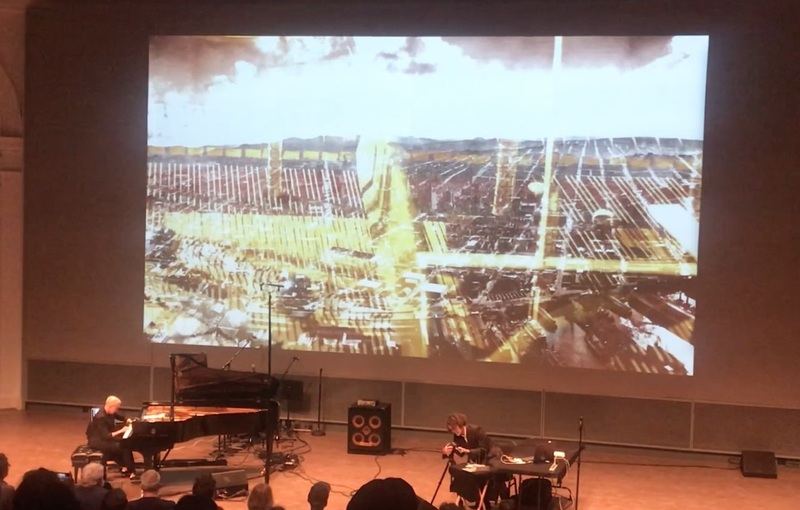 Myra Melford (piano), Ian Winters (video) and I did another version of our Dissonant Futures project in the Taube Atrium Theater at the War Memorial Veteran’s Building at 5:30pm on Sunday 30th September. For this version Ian and I improvised with sound and image materials gathered from Myra’s amazing inside the piano world (see photo above!) 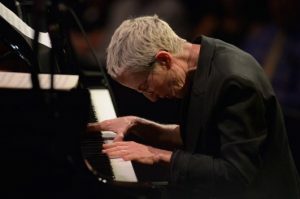 over the past few years, while Myra played the piano keyboard with her usual astonishing virtuosity and power. My electronic improvisations were made using samples recorded with Myra and processed through improvisation patches I’ve designed in Max MSP. Since I couldn’t be there, my improvisations were done in advance and sent ahead. Pre-improvisation! Here’s a snippet of part of the electronic sound world. 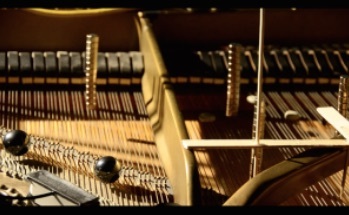 This excerpt is created from samples of Myra playing a piano prepared with chopsticks ….. 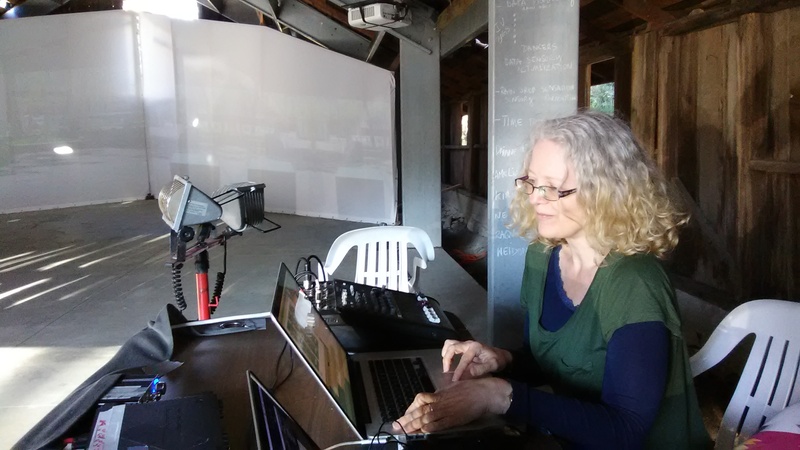 I have recently returned from a residency at the Experimental Media and Performing Arts Center (EMPAC), with choreographer Mary Armentrout and media artist Ian Winters, creating both scored music and electronic sound for Listening Creates an Opening for Mary Armentrout Dance Theater. Listening Creates an Opening was commissioned by EMPAC and supported by their Residencies and Commissions program. 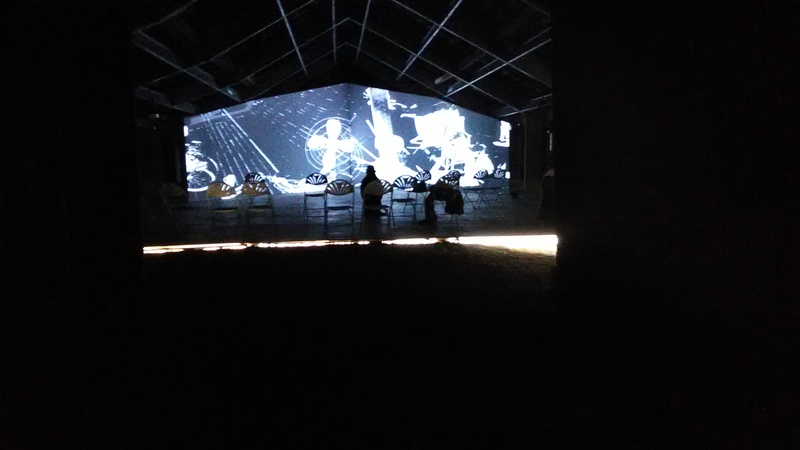 The work was premiered 12th – 15th September 2018. 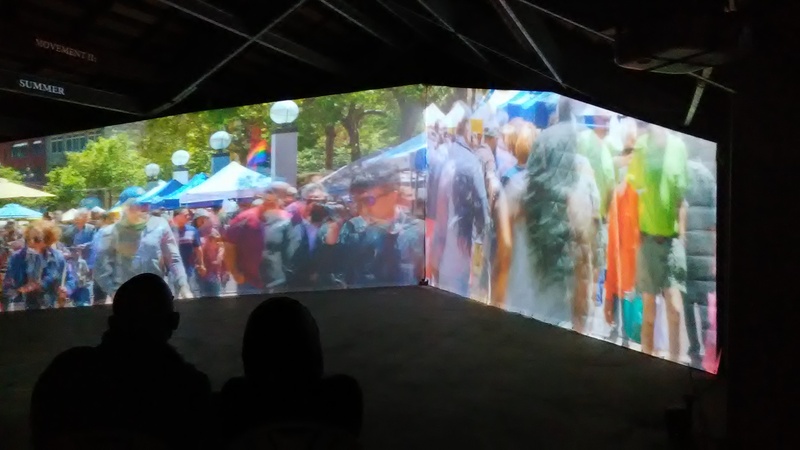 The work, which is written, devised and directed by Mary Armentrout, takes notions of embodied listening as a lens through which to explore site, history and the artist’s relationship to social engagement. 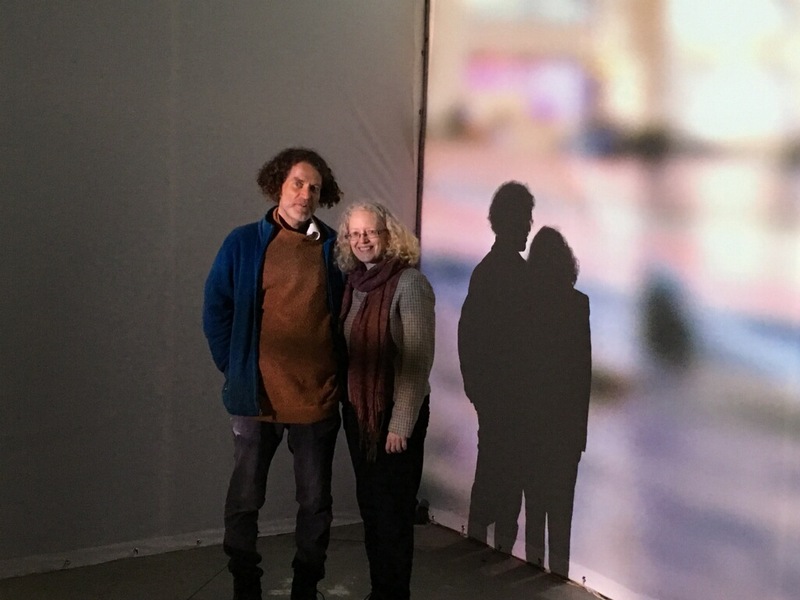 We worked with Darcy Dunn and Allison Easter (singers) and Patrick Belaga (cellist/improvisor) on this multi-site, site-specific work, which explores various localities at EMPAC and beyond. Within the work I wrote settings, and fragments of settings, scored for different combinations of two singers and cello, for two poems by Emily Dickinson, which Mary cut up and wove around her text. I also scored two videos (one each for the first and last scenes), creating soundscapes from sounds recorded with cellist Patrick Belaga. Additionally I made a 16 channel sound score for a scene in the EMPAC theater, using many sounds which I had recorded in and around EMPAC and the city of Troy. The theater scene included a ‘cloud’ sculpture made out of LEDs, created by Ian Winters, which used, as a source for changing light, over a year’s worth of data collected from light and colour sensors set in the roof of the EMPAC building. The eight channel sound for this section combined sonic references to both sites visited in the show and to the music within it, creating an immersive sonic environment which the audience experiences by lying down under the cloud. Documentation for the piece will soon be available. 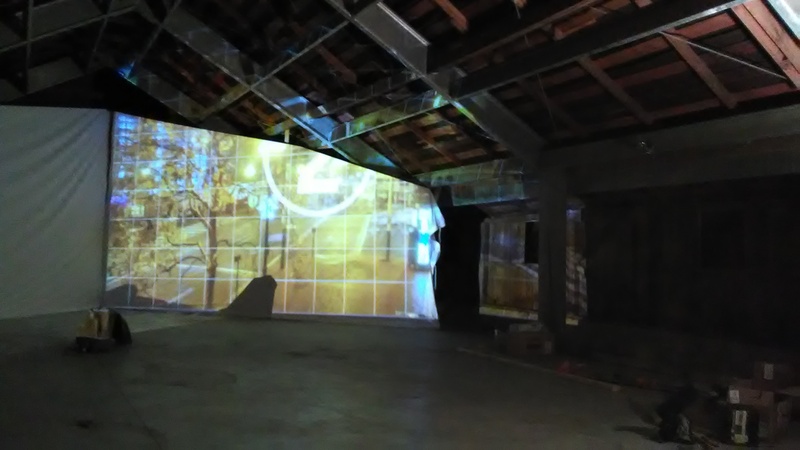 Ian Winters and I have recently returned from the Djerassi Resident Artist Program where we re-mounted a version of our installation Summer, Winter, Spring. Lingering spectator staying for a second run…. 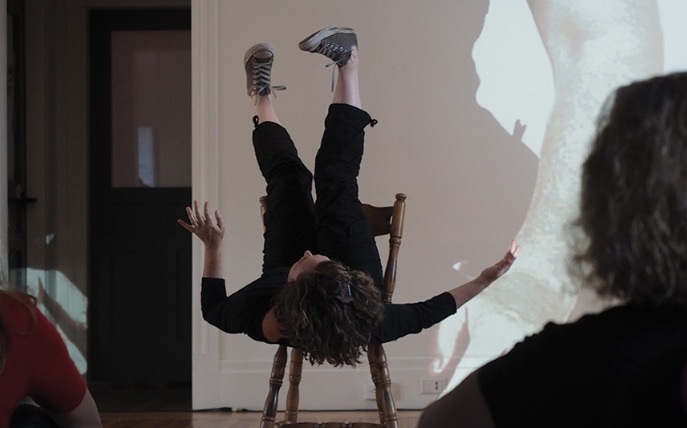 Summer, Winter, Spring, is a collaborative work lead by media artist Ian Winters with choreographers Mary Armentrout, Daiane Lopes da Silva and paige starling sorvillo. I collaborated with Heather Frasch on the first work in progress version of the piece in January 2017, and her presence remains in the sound world of later versions, particularly in the bicycle wheel sounds! 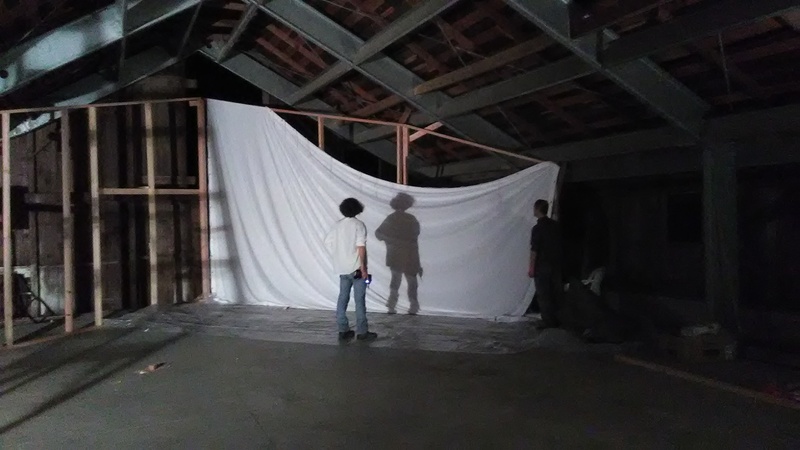 This piece premiered as an installation on 13th January 2018, performances were 26th & 27th January 7:30pm, at the Minnesota Street Project, 1275 Minnesota Street, San Francisco 94107. See the trailer here. 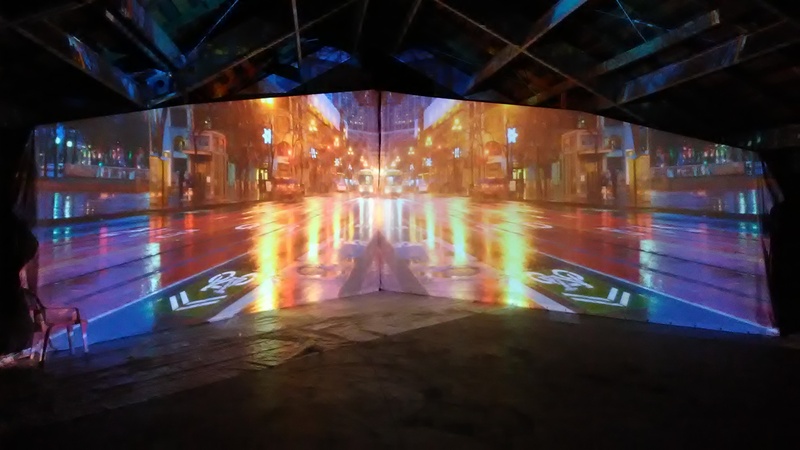 My 1990s collaborative works with film maker Suse Bohse (such as Those Roads) have been part of an inspirational project at Central St Martin’s School of Art, in the exhibition Temporalities, which ran at the Lethaby Gallery in February 2018. This exhibit consisted in a set of commissions from current students responding to historical student work from this iconic art school.